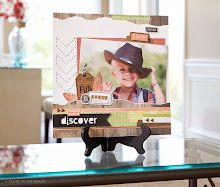 Stamp Happy: May is National Scrapbooking Month! Did you know May is National Scrapbooking Month? You probably did. 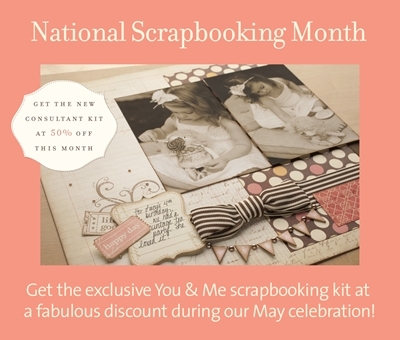 Join the National Scrapbooking Month celebration by getting the exclusive You & Me scrapbooking kit! *Shipping/handling may apply. Offer valid May 1–31, 2011 only. I used paper from the Wings Creative Basics Collection to make this simple card. Thanks to Lindsey Johnson for completing the layouts! Can't wait to show you in person! Come to a card class this month. :) RSVP here. Can't come or don't live close by? Place an online order or join my team! Let me know if you have questions. Hope to see you soon!